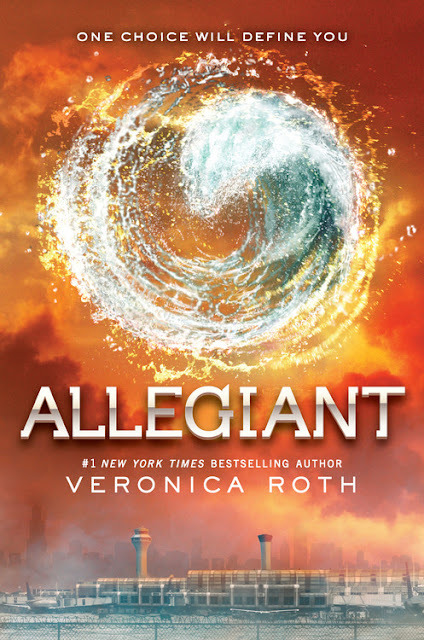 Empire of Books: ALLEGIANT cover art!!!! Argh! So the day has finally arrived, and I know my post is about 4 hours late but hey, ho, what can you do when you're stuck at work? Not a lot... That's what! Anyway! I am here now and I have to say wowwwwweeeeee! I MEAN!!!!!! Come on! Look at it. Gah. It's so beautiful. The colour. The symbol. Oh my days, the symbol... it isn't a faction symbol!!!!?!?!?! Who would of thought it? So much speculation over whether it'd be the Erudite symbol or Amity and it's neither! What! Direct from Veronica's own blog (which can be found here...) we know that it's a new symbol and one which will obviously play a role in Allegiant. All I know is I cannot wait for that package to come in from Amazon US holding what is bound to be a stunning hardback! Cannot wait! Allegiant is due 22nd October, and the UK cover is yet to be unveiled! Are you excited for Allegiant? What do you think will happen? Who do you think will survive! The answers are so close and yet so far away!